I started having constipation beginning around my week 17th pregnancy. All the sudden, my bowel system is not working right anymore. It’s a torture to have constipation and pregnant at the same time. I know it’s silly, but, I’m scare if I push too hard, I might hurt my baby (ya ya… silly I know). I read up on so many home remedy for constipation. Quite shock to find out that it’s a very common problem for pregnant women. Usually when you have constipation, the western side will encourage you to increase fiber in your diet. And. the Chinese believes that it’s cause by your very heaty body (just be really careful if you plan to counter it with Chinese herbs… I don’t really encourage it for first time pregnant women as Chinese herbs react very differently with different people). I actually stayed away from all kinds of Chinese herbs until I was 5 months pregnant. How did I counter this problem? I had a lot a lot of vegetable and fruits. Bear in mind not all fruits are good for you. You really need to take a bit and test it out. I love rock melons but while pregnant, I couldn’t handle rock melons (or any other melons come to think of it). I got so bloated and it hurts my stomach. Some of the fruits that really helped are Dragon fruit (I prefer the red variety cause it’s sweeter), papaya (some people avoid it because they believe it will cause jaundice for the baby), avocado, apple, orange, mangoes (I love this when pregnant) and the best of all is the prunes. I prefer the del monte prunes, seems fatter and juicer compare to the other brands. The prunes are like the ultimate cure for me. 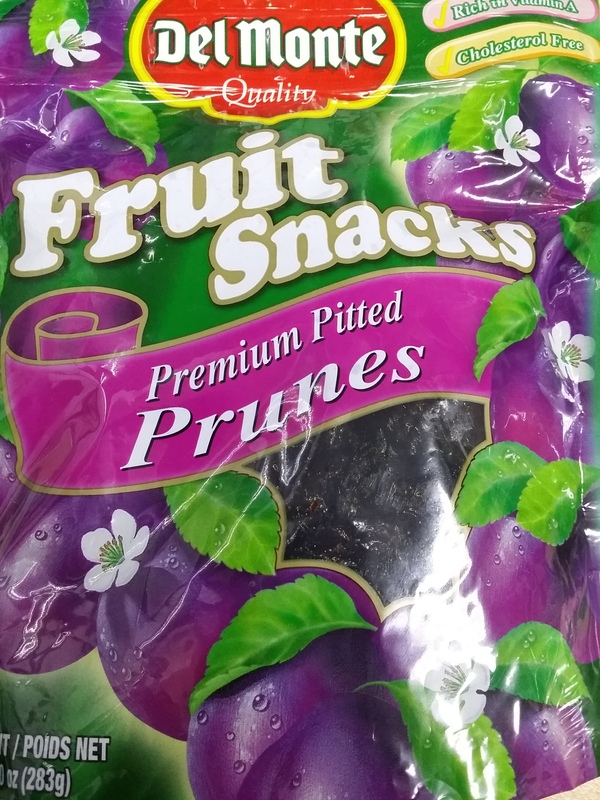 Every time before a meal, I’ll consume 1-2 pieces of the prunes. If the constipation is really bad, I will make myself a cup of prune juice. Basically what I do is smash 4-5 pieces of prune in a cup of hot water, and drink it in the morning. This always does the trick. ;p Hope it can help you too.